Goodell: You’ve talked increasingly about climate change as a national-security issue. How would you compare the challenges and the risk to America’s security regarding climate change to, say, ISIS or, for that matter, Iran? Obama: Well, they’re different. And as president and commander in chief, I don’t have the luxury of selecting one issue versus the other. They’re all major problems. What we know about climate change, though, is that with increasing drought, increasing floods, increasing erosion of coastlines, that’s going to impact agriculture; it’s going to increase scarcity in parts of the world; it is going to result in displacement of large numbers of people. The people who live on the island [Kivalina] that we flew over today can move. It’s painful for those residents, but it can be done. If the monsoon patterns in South Asia change, you can’t move tens of millions of people without the possibilities of refugees, conflict. And the messier the world gets, the more national-security problems we have. In fact, there have been arguments that, for example, what’s happening in Syria partly resulted from record drought that led huge numbers of folks off farms and the fields into the cities in Syria, and created a political climate that led to protests that Assad then responded to in the most vicious ways possible. But that’s the kind of national-security challenge that we’re looking at with climate change. It will manifest itself in different ways, but what we know from human history is that when large populations are put under severe strain, then they react badly. And that can be expressed in terms of nationalism; it can be expressed in terms of war; it can be expressed in terms of xenophobia and nativism; it can be expressed in terms of terrorism. But the whole package is one that we should be wanting to avoid, if at all possible. 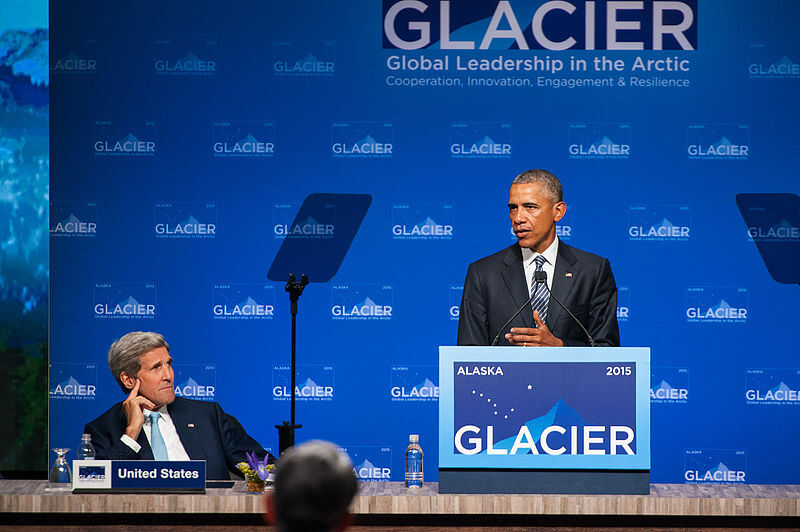 By Caitlin Werrell and Francesco Femia in climate and security on September 28, 2015 . I think that Obama is largely correct, but he left out an important point. Climate change is going to keep getting worse over hundreds and thousands of years if we don’t take strong action soon. Hard to imagine that ISIS will still be a big threat in 100 years. Remember that Hitler and the Third Reich was a serious concern 75 years ago. The Thousand year Reich is long gone. Climate change will not be defeated so easily as a human opponent.